ProviderGateway™ is among the leading developers of Internet-based, connectivity engines in public sector health and human Services. 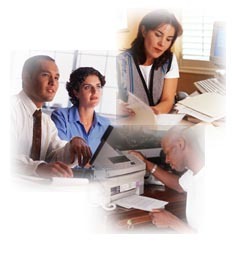 ProviderGateway™ solutions link public assistance agencies and their providers (i.e. state and county agencies for various programs) to increase service effectiveness reduce errors and increase overall program efficiency. Our involvement in large-scale systems development for Human Services dates back to 1986, as a division of Mid-America Consulting Group (MCG). Our company was involved in the conceptualization, development and testing of HHS statewide systems in Ohio, Indiana, Washington and Wisconsin for many years, and also developed caseworker training products used in Rhode Island, Alaska, South Carolina, Ohio and New York States. In 1994, our firm was awarded a major development contract by the Office of State Systems (DHHS/OSS) in Washington DC, to develop a prototype system for Statewide Automated Child Welfare Information Systems (SACWIS) to help states comply with federal mandates for automation. Based on the results of this project, ProviderGateway™ later spun-off as a separate company to concentrate on the unique opportunities presented in Health and Human Services. ProviderGateway™ was one of the first companies to take advantage of the advances in Internet technology to create the secure systems that could be used, on a mission critical basis, to more effectively manage outsourced services i.e., the Provider networks. Commercial organizations are at advanced stages of using the Internet as a medium for delivery of products and services. There have been many revolutionary results, and the growth in popularity, ease of access and convenience of the Internet has created an opportunity for organizations in the public sector to do likewise. ProviderGateway™ systems can deliver functionality and capabilities to government agencies that are in the business of paying for or monitoring services to clients on a cost-effective basis. Our accomplishments range from welfare management to child-care to nursing home networks and it is our goal to remain a market leader in innovative solutions for this segment of the market. Copyright© 2004 Providergateway. All rights reserved.